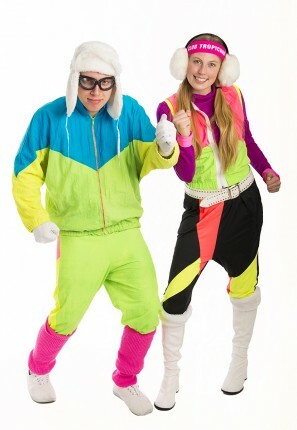 Keep warm on the ski slopes in these 1980’s Fluro Couple costumes for hire. Great for a Winter Olympics or 80’s theme party. Costumes priced individually, can be hired together or separately.